The longest line, originally uploaded by nina_theevilone. 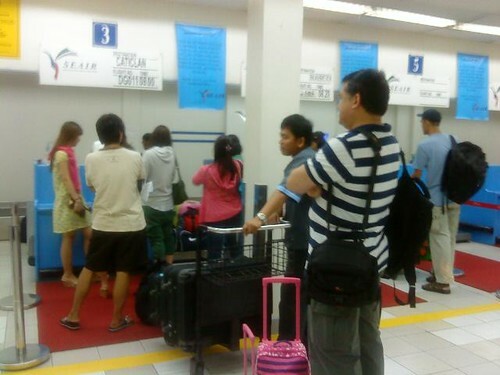 This is the longest line you’d ever encounter when flying with Seair. Small planes mean less people, which means shorter queues and faster baggage claims.